Renowned teen idols of the 80s, Corey Ian Haim was born on December 23, 1971 to Judy and Bernie Haim, in Toronto, Ontario. As a child, he was extremely shy and to help him overcome it, his mother enrolled him in acting classes. At that time, acting wasn’t something he was serious about and it would not be wrong to say that he accidently stumbled into the entertainment industry, after watching his sister audition. Corey Haim got his first acting role when he was 10 years old, in “The Edison Twins” (1982). In 1984, Haim did his first movie, “Firstborn”, starring with Sarah Jessica Parker and Robert Downey. Jr. He continued appearing in movies like “Secret Admirer” and “Murphy’s Romance”, albeit in small roles. His first lead role was in the movie, “Silver Bullet” which was an adaptation of Stephen King’s novel. Haim played the role of a teenage boy who warns his uncle that a werewolf is terrorizing their town. By now Haim was gaining recognition in the movie business and soon won the “Young Artist Award” for his work in the movie, “A Time to Live”, in which he played the role of a dying boy. After the movie, Haim decided to make a transition from taking on roles of sons to that of boyfriends. Eventually in 1986, he got a major break when he was signed on for movie, “Lucas”, next to Kerri Green and Charlie Sheen. He played the role of a high school misfit who falls in love with a cheerleader. He received a positive feedback from both critics and the audiences for his work in “Lucas” and was also nominated for “Exceptional Performance by a Young Actor” award. After moving to Los Angeles, Haim starred in the television show, “Roomies”, in 1987. Following that, Haim was signed for the movie, “The Lost Boys” which proved to be the benchmark of his acting career. The movie was a phenomenal success at both the box office earning over $32 million as well as with the critics. His work earned him the nomination for, “Best Young Male Superstar”. Apart from shaping his career as a talented actor, “The Lost Boys”, was the start of a deep partnership between Haim and Corey Feldman and the two soon became best friends. The duo went on to become the highest paid teen stars of their time. The next movie for the duo was, “License to Drive”, which further increased Haim’s fan following. His work for the movie earned him his second “Young Artist Award” and earned over $22 million. His next movie was, “Watchers” which was also a huge success. Haim and Feldman appeared in, “Dream a Little Dream” (1989) which was a hit and in response to his drug problem, Haim made a documentary about his life, “Corey Haim: Me, Myself and I”. Haim’s success began waning in 1990s and following his excessive drug addiction, he was put on Valium by his doctors. Haim was rehabilitated 15 times and all this while, he was taking on roles in movies like, “Prayer of the Rollerboys” (1990) and “Dream a Little Dream 2” (1995). Realizing that his career was falling apart, in 2007, Haim agreed to appear in “The Two Coreys” which explored the lives and careers of both Haim and Feldman. Their friendship had deteriorated over the years, partly due to Haim’s addiction. 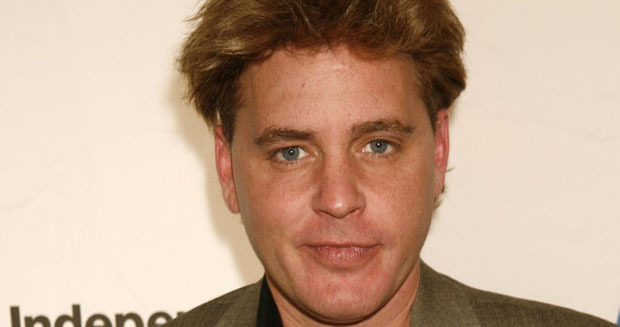 Corey Haim was found dead at the age of 38, in 2010 and reports later revealed he died from natural causes.